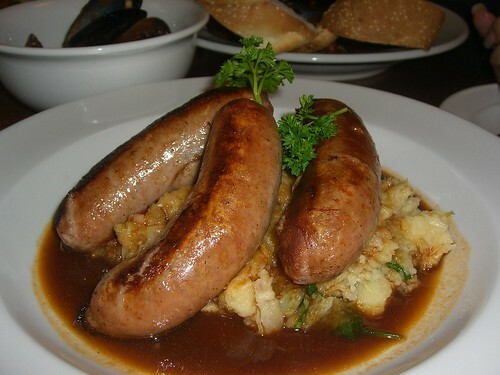 Parsnip mash, grilled sausages, a bit of gravy – good cold weather food. But then I didn’t feel well for most of the day. And then Shane decided to grab a $1 burger at Sava’s with some friends before tackling last-minute conference/travel stuff. And then it didn’t really seem worthwhile to make parsnips AND sausages AND gravy for just me, especially when all I wanted was the parsnip part. So that’s what I had: a couple of parsnips, boiled, then mashed through the food mill and stirred together with a small knob of butter. Also an apple while prepping, and a second apple after dinner. All of this healthy stuff should balance out all of the Halloween candy I’ve had the last two days, right?